Two Door Cinema Club’s third album, “Gameshow,” represents the proving ground for the relatively young band. While their first two releases found success in the increasingly competitive indie-rock scene, “Beacon” and “Tourist History” differ very little in terms of musical content, although this is not a bad thing. “What You Know” and “Undercover Martyn” stood out as some of the most popular electropop/dance songs during their respective releases. In order to retain current fans while simultaneously attracting a new audience, members Alex Trimble (lead vocalist), Kevin Baird (bass) and Sam Halliday (lead guitar) needed to produce a set list that retained the danceable, electropop attributes of the first two albums while venturing into new territory. Inspiration from the likes of David Bowie and Prince drove the tone of “Gameshow” to adhere to an 80’s nostalgia-themed movement. The headliners, “Beacon” and “Tourist History,” emanate a sense of occasion. “I Can Talk,” for example, is featured in the soundtrack of the popular soccer video game “FIFA.” The celebration of the occasion is complemented by the upbeat foreshadowing of the song. While some content within “Gameshow” is true to the band’s roots, such as “Are We Ready? 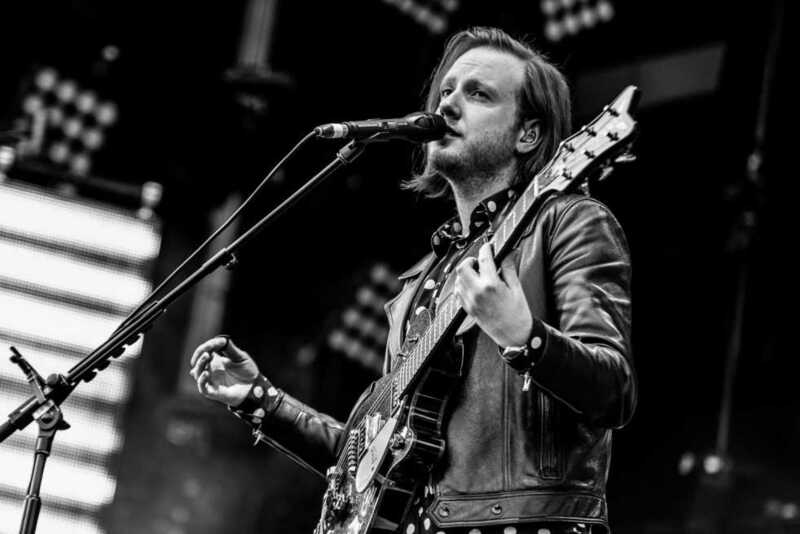 (Wreck)” featured in “FIFA 17” for its recognizable upbeat tone, the headliners carry more weight than those of Two Door Cinema Club’s previous albums. In a sense, it is evident that the band has matured in its song writing. For those that are familiar with the heist film “The Italian Job,” the scene in which the characters have finally completed the heist and must go their separate ways, pockets stuffed with cash, would be perfectly covered by the current album’s weightier songs like “Fever” or “Invincible.” The sense of opportunity in these respective songs is impressive, for pieces with such critical lyrics and regretful undertones are seldom positive and opportunistic in their overtones. The productions of Two Door Cinema Club’s past albums did not carry such depth. It is not to say that there are no songs in “Gameshow” that identify with the indie-rock and electropop mixtures that are familiar in the band’s previous albums. The title songs “Gameshow” and “Bad Decisions” both resemble the highly danceable songs of the band’s past recordings, and for that reason are sure to achieve the same, if not greater, amount of success as their predecessors. Portions of this mastering process that Two Door Cinema Club has achieved with “Gameshow” are evident in the minor changes within the production of each song. Trimble’s voice now takes the back seat to the prevalent beats and synthesis particularly noticeable in “Ordinary,” “Surgery” and “Good Morning.” The effect, reminiscent of Prince’s style of dance as a complement to his music, encourages the listener to “feel” the music. This method of production, along with the increased depth of the band’s music, separates not only “Gameshow” from its predecessors, but also Two Door Cinema Club from its competitors. No other electropop/indie rock band manages to generate such a mixed range of emotions from its music. “Gameshow” is now available to download and stream via Spotify, Apple Music and Google Play Music.